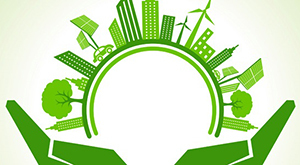 Sustainability doesn’t have to be a costly or difficult exercise. There are many simple lifestyle and practical choices that can help you achieve sustainability in your home both during the building process and everyday living. Simply adjusting the settings of heating and cooling systems can save money and energy. This could be up to 10% for each degree less the system is used for. Aim for a summer temperature set to 24oC, and winter heating set to 19oC. Shading windows reduces heat build-up in the house. Summer heat can radiate into the house up to 35% more. Having appropriate blinds and/or external shading can drastically reduce this. Correctly sealed windows and doors can reduce and eliminate unwanted drafts from entering the home. Up to 25% of heating and cooling can be lost through gaps and cracks around the house. Southern Star Aluminium and Canterbury Timber windows and doors use professional seals and extensive engineering to ensure the best performance possible. Double-glazing allows the benefit of heat in winter and cooling in summer. Superior to single glazing, it adds an extra layer and increases efficiency. Choosing the correct window style can be hugely beneficial. Utilising windows that work with cooling systems can assist with circulation and save you money. Louvre, Bifold and Awning windows in particular are perfect for such applications. LED lights are superior to halogen in both luminosity and energy usage. There are even free upgrade programs available in many states. Local areas have differing initiatives, so familiarise yourself with yours. Water is a precious resource and costs are rapidly increasing. Collect, recycle and reuse water as much as you can. Water tanks as well as grey water collection is becoming increasingly popular. Reducing waste is a major part of being sustainable. This simple task is often overlooked or ignored. Correctly sorting rubbish and recycling has extensive ramifications and reduces landfill. Organic waste can be used as food for your garden. Composting is a great alternative to throwing out food waste.